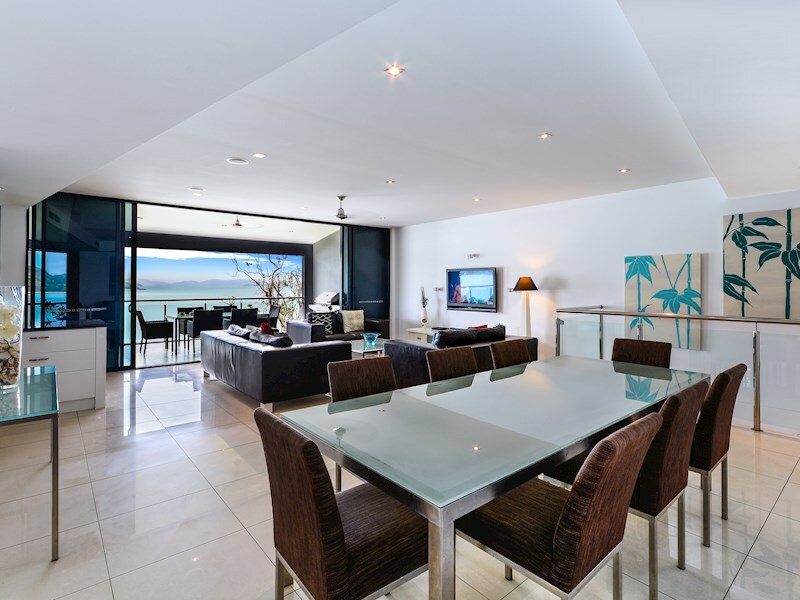 Vast and luxurious waterfront apartment. 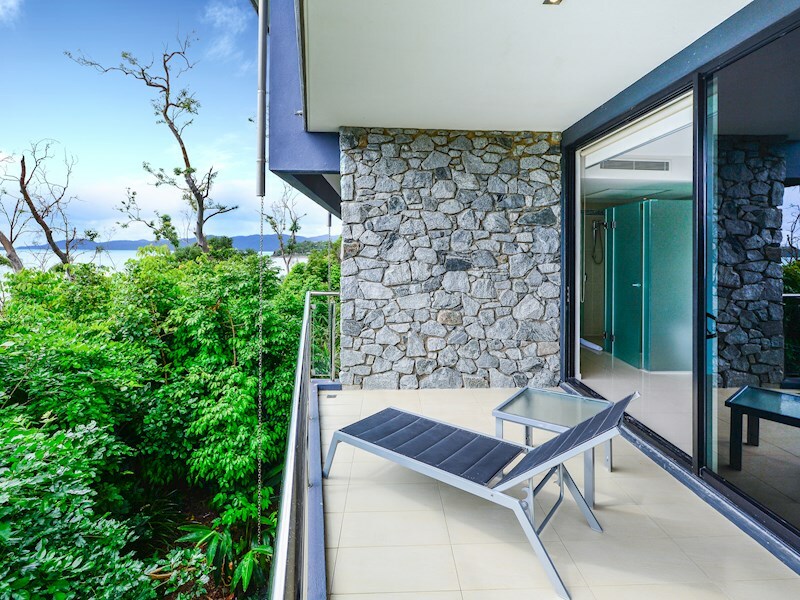 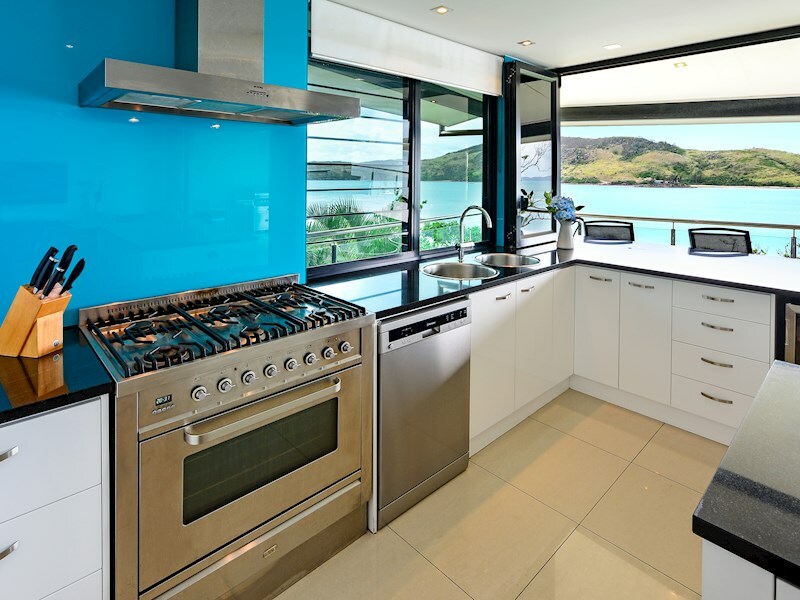 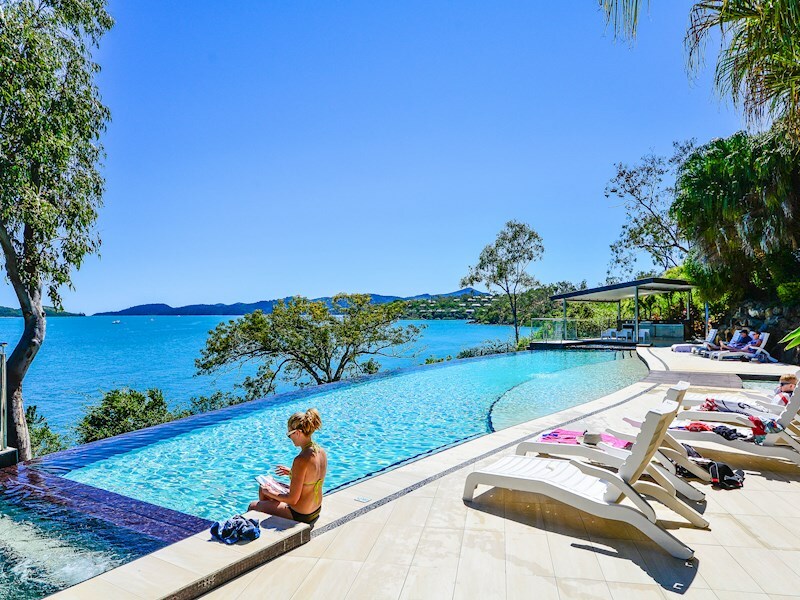 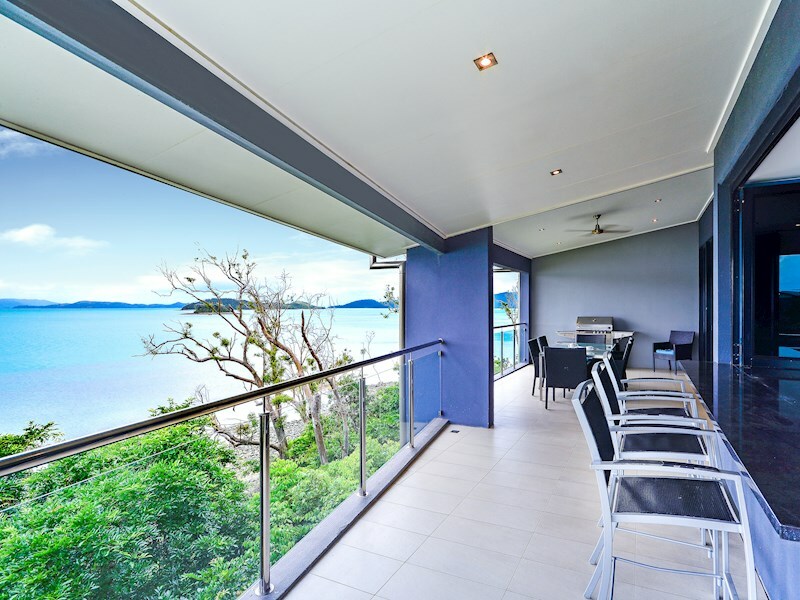 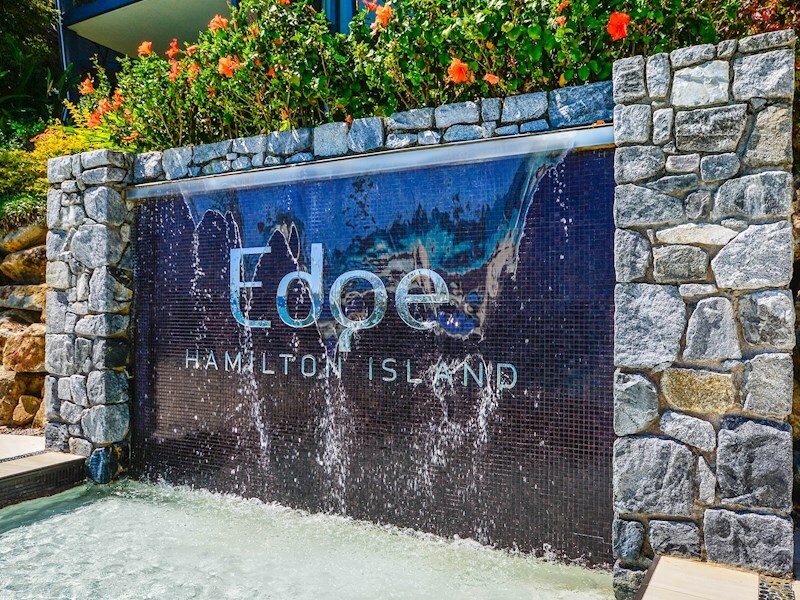 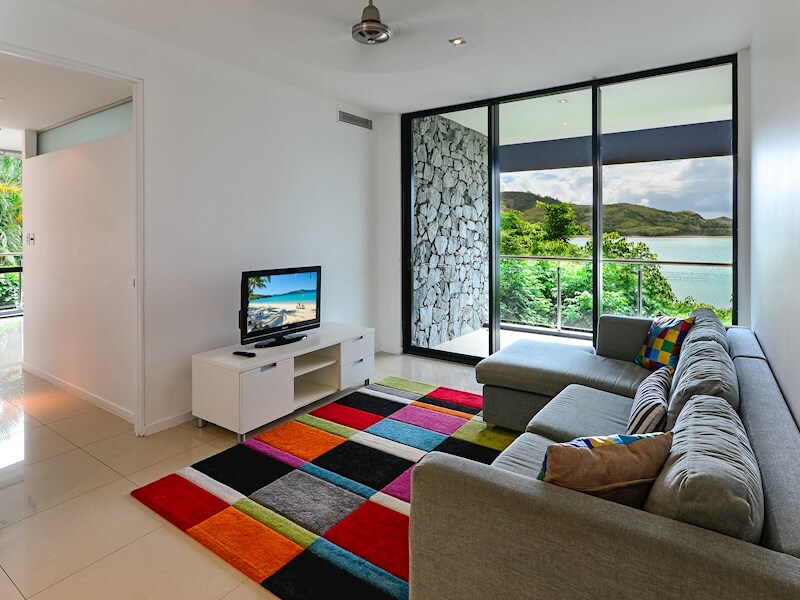 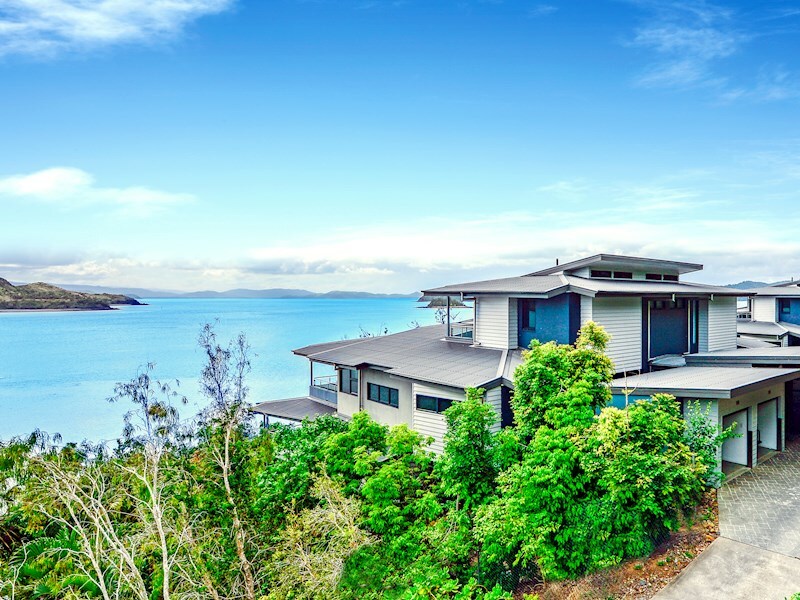 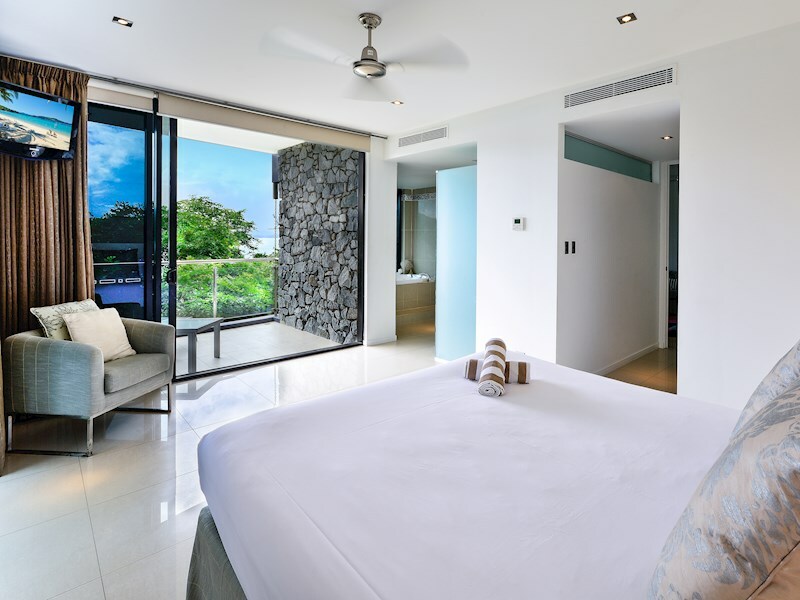 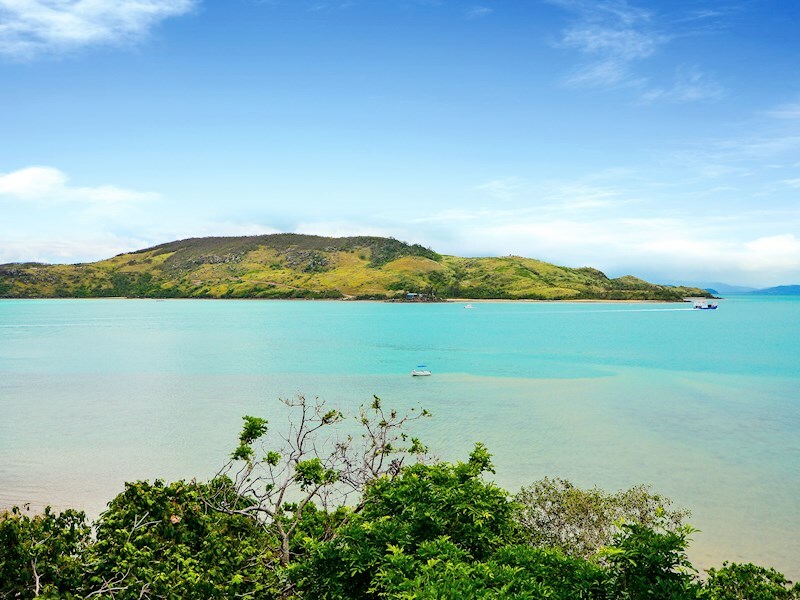 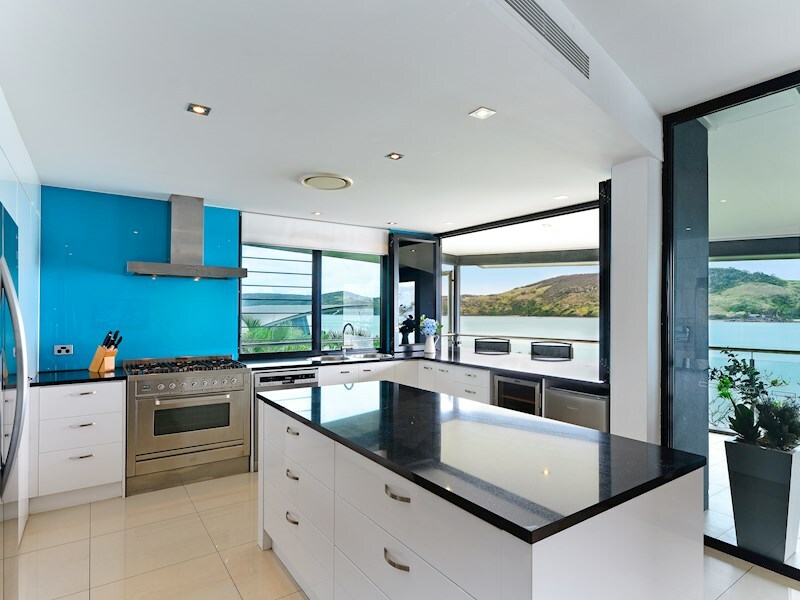 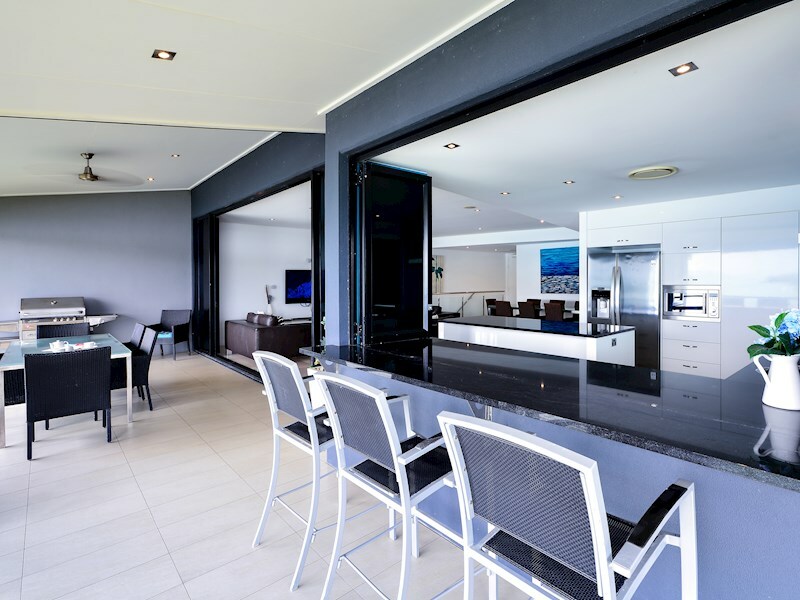 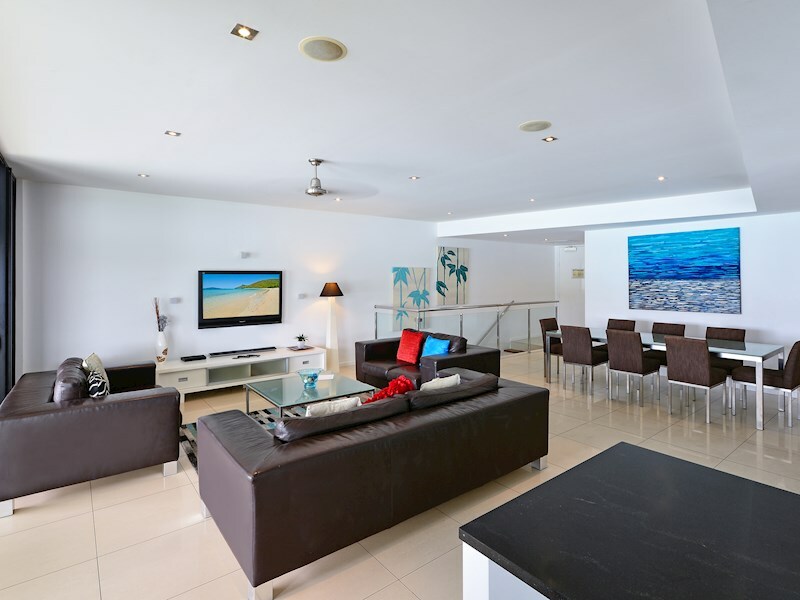 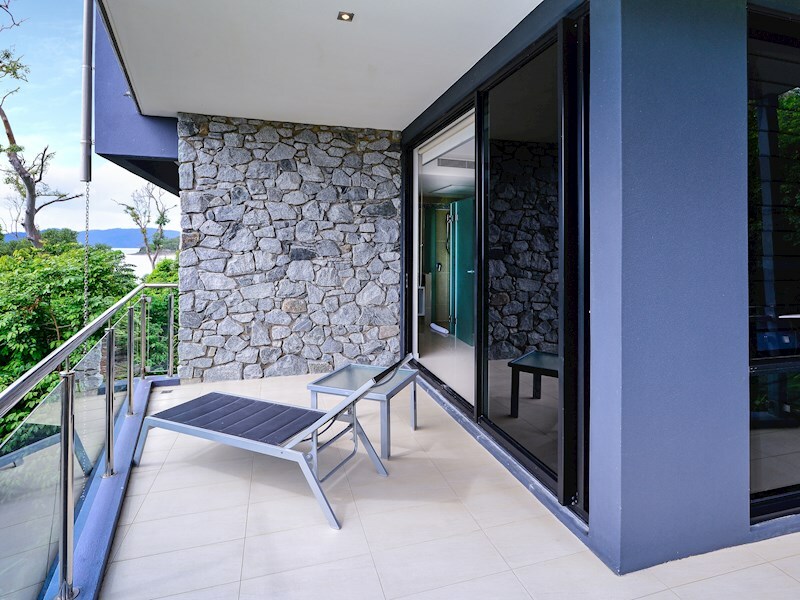 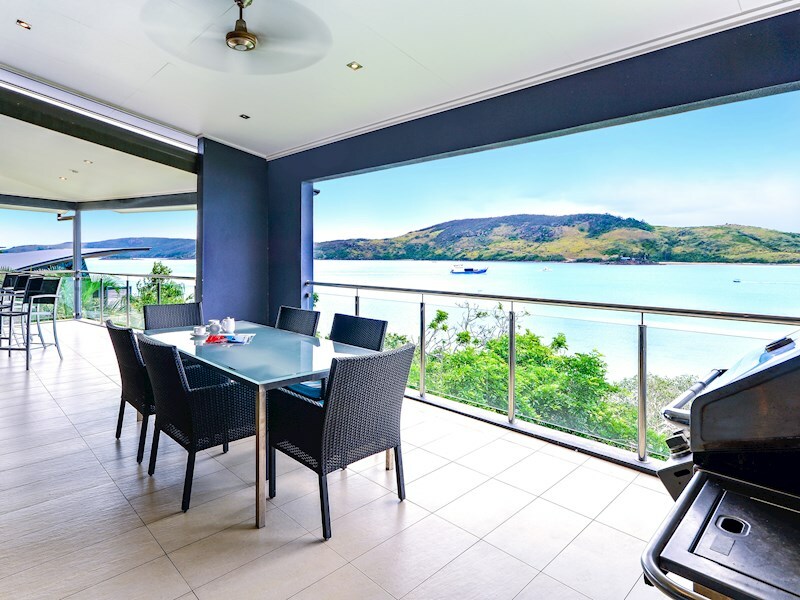 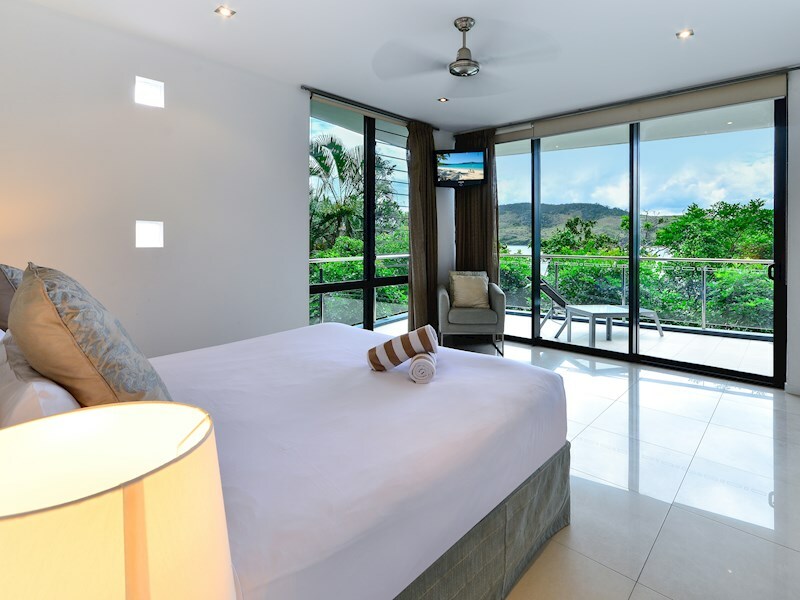 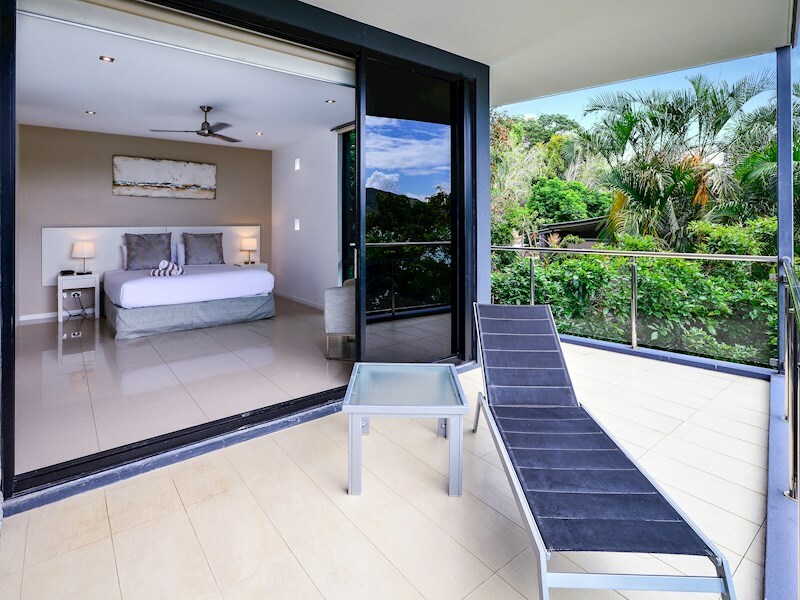 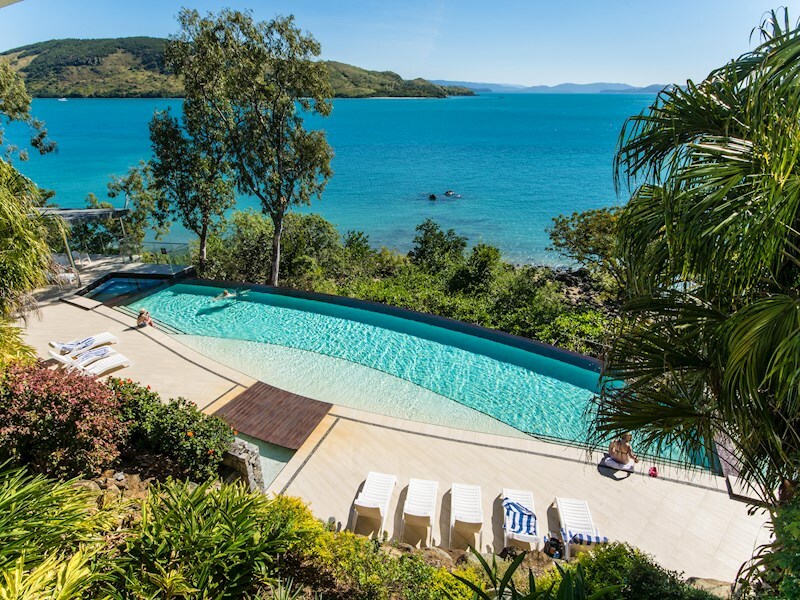 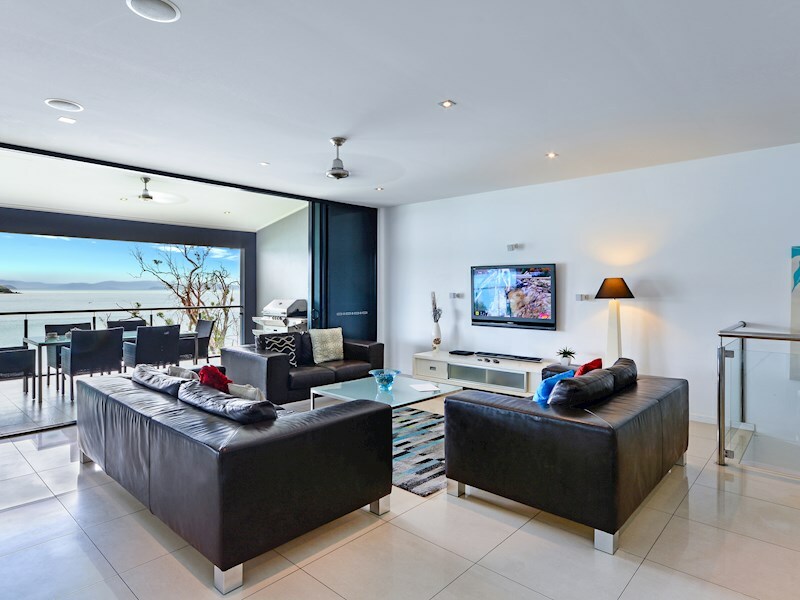 One of the most premium three bedroom apartments on Hamilton Island, The Edge 1 boasts magnificent views, contemporary furnishings and a luxurious parents' retreat. 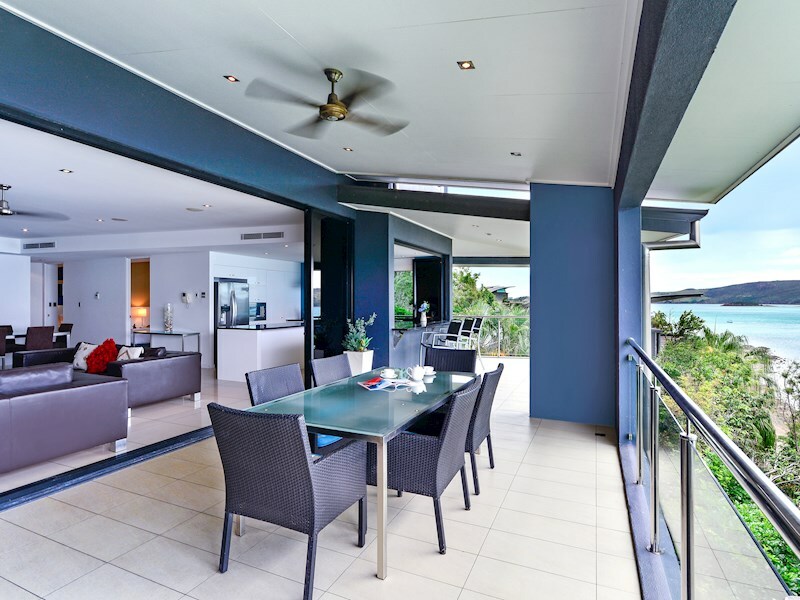 A covered wrap-around terrace provides plenty of space for entertaining friends and family. 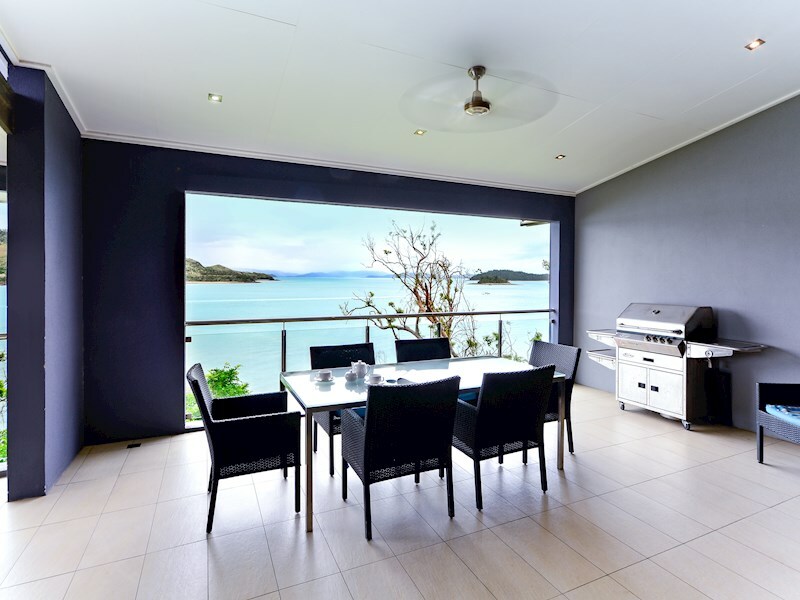 There's a BBQ, outdoor table for eight people, and an outside breakfast bar. 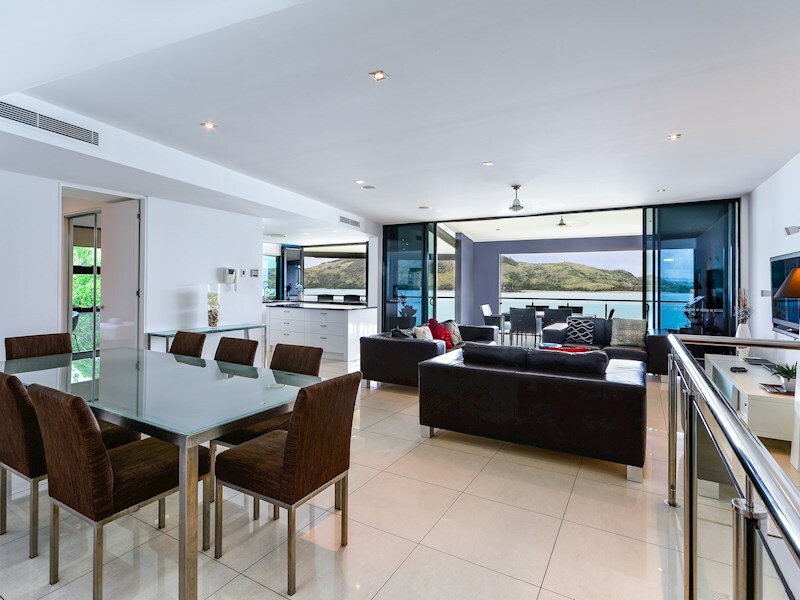 This property has been designed with relaxation and comfort in mind. 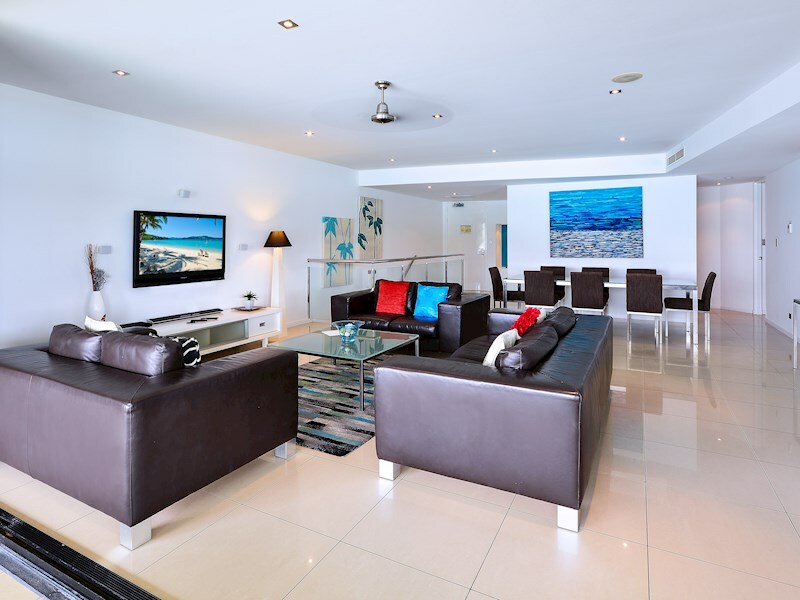 As well as two living spaces, there are several TVs, a DVD player and stereo. 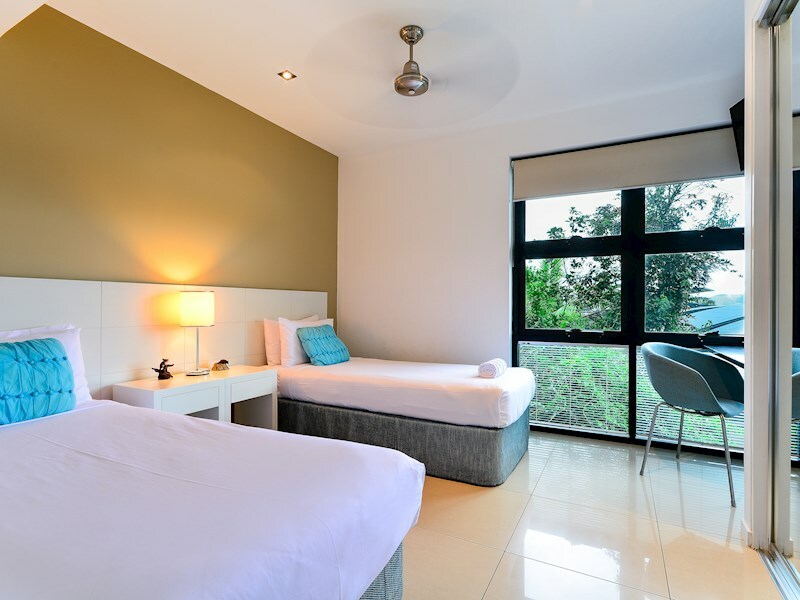 There are cooling tiles throughout the parents' retreat as well as ceiling fans and air-conditioning. 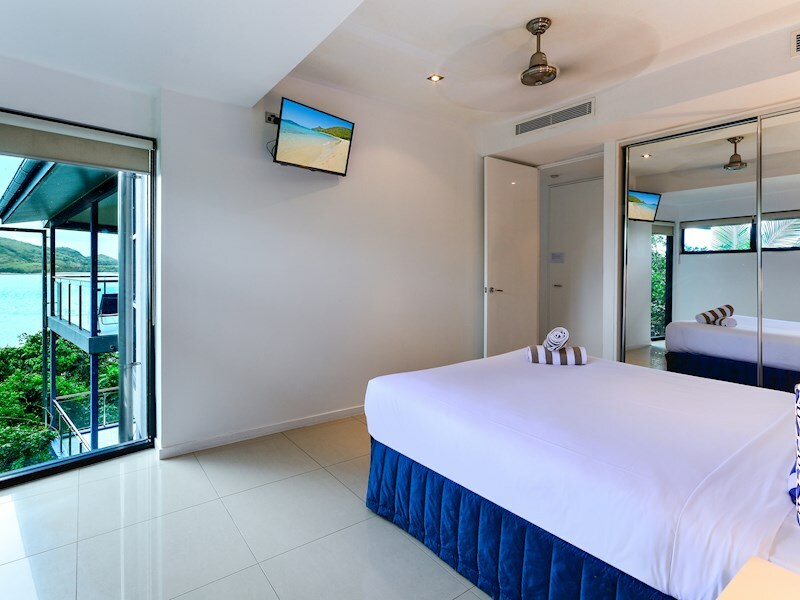 There are three spacious bedrooms. 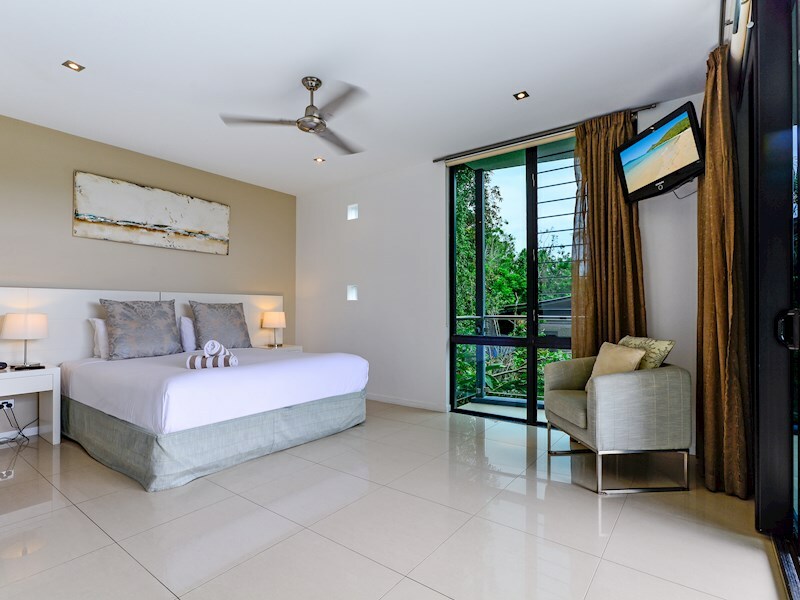 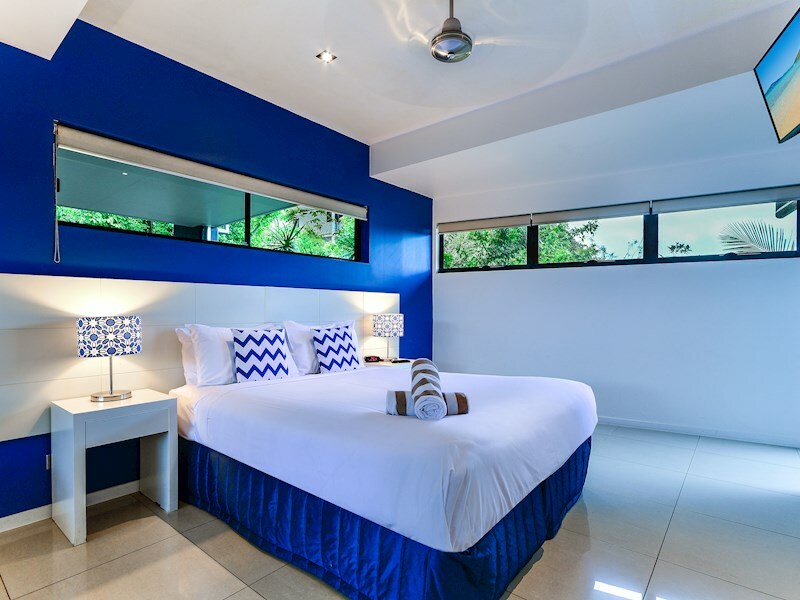 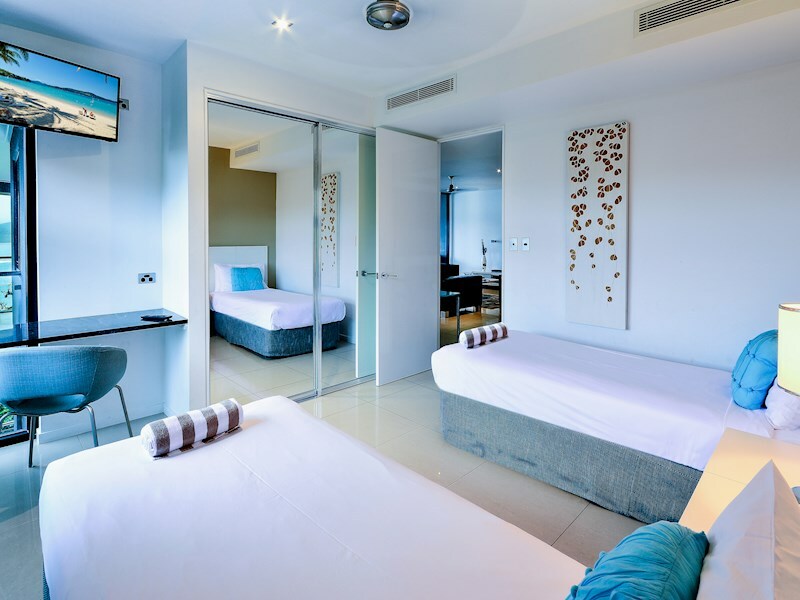 On the upper level, there are two double bedrooms with mirrored robes, TVs and air-conditioning. 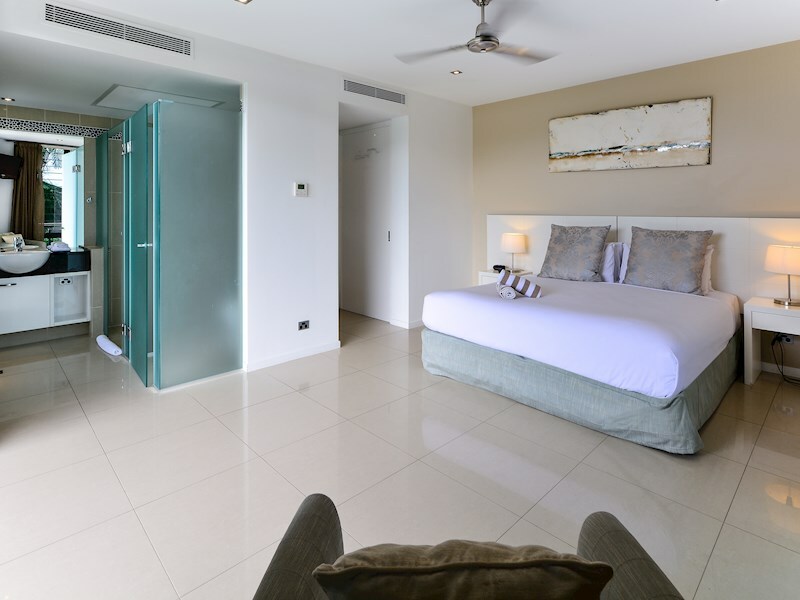 These bedrooms share a shower room with a separate toilet. 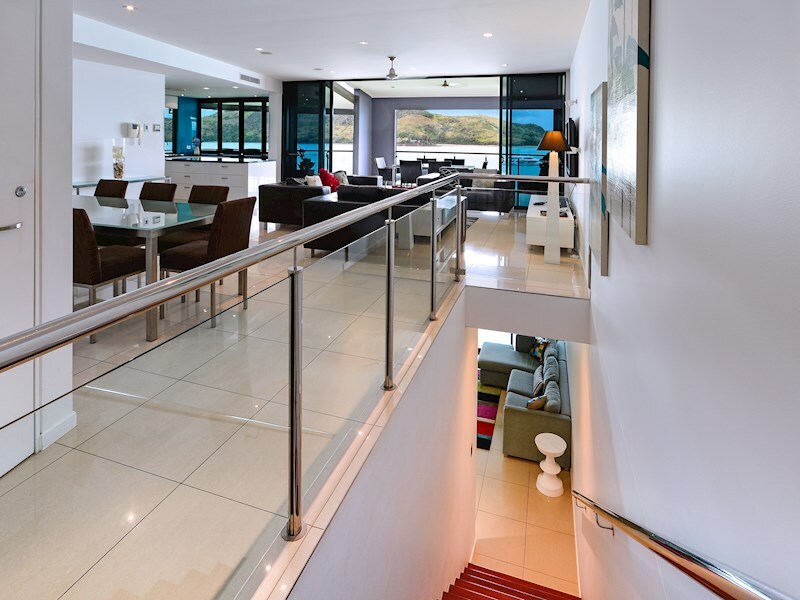 Downstairs, there's a parents' retreat. 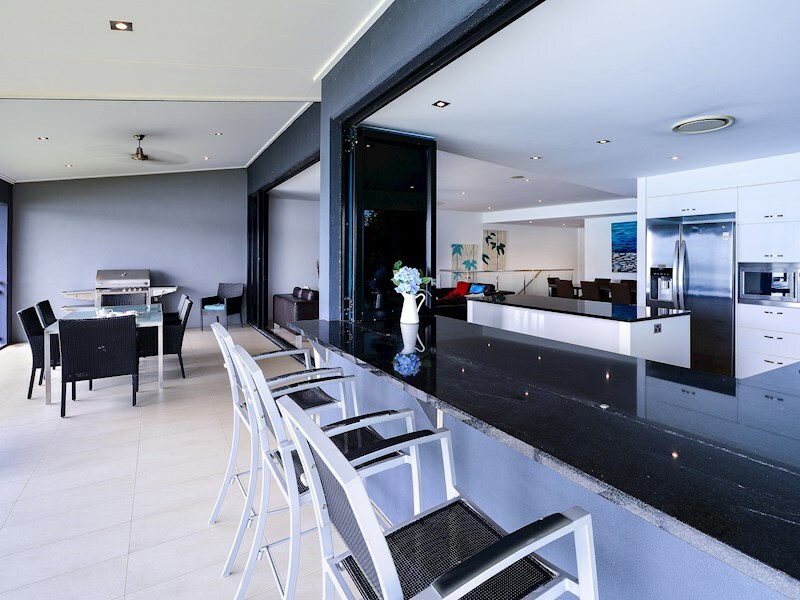 You'll find this property tucked up a private and tranquil driveway - just a short walk to all the cafes and restaurants on Front Street. 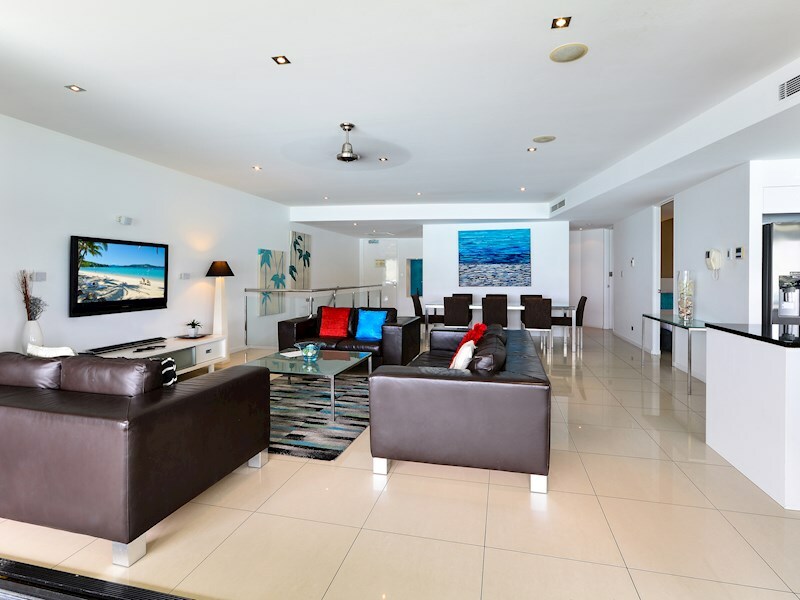 Downstairs, you'll find a spacious retreat with a separate lounge area, TV, private terrace and a king sofa bed. 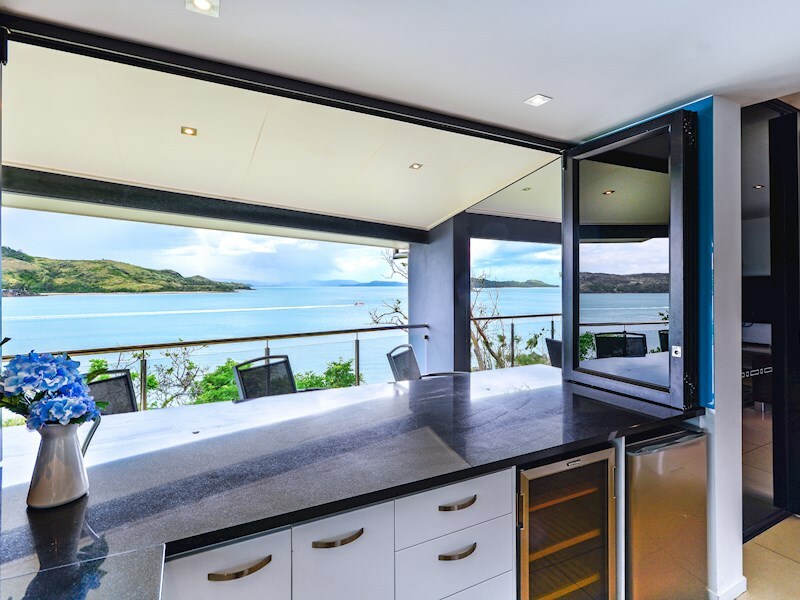 This area also has views over Dent Passage, a private balcony, walk-in robe, and enormous ensuite. 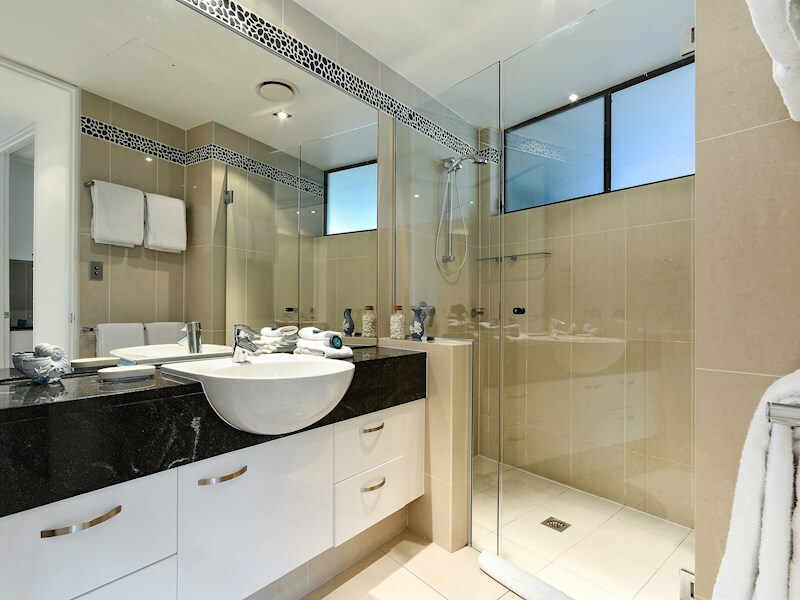 There's a double shower, bath tub and separate toilet.